Upper Newport Bay – the Back Bay as it is endearingly known to those who live nearby – lies hidden in the heart of Newport Beach. Many come here to ride horses and bikes, hike, canoe, kayak, bird-watch or simply savor the delightful sunrises and sunsets over its tranquil waters. However, it is more than a place of great natural beauty. 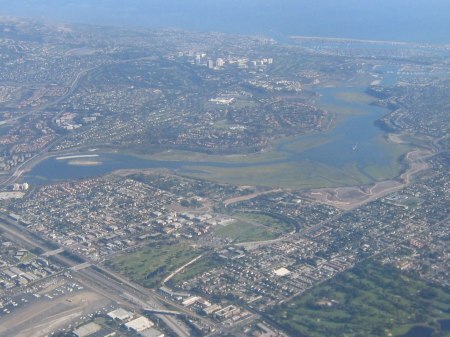 Upper Newport Bay is the largest of only a few remaining natural estuaries in Southern California. An estuary is a coastal wetland where salt water from the ocean mixes with nutrient-rich fresh water from inland sources, to provide a fertile feeding area for birds, fish and other animals. Upper Newport Bay is an important rest stop and/or winter home for birds migrating from Canada and Alaska, and up to 30,000 birds can be seen here on any one day during the winter months. During the spring and summer many birds that have migrated from the south nest here, together with other birds that are year-round residents. Nesting birds include the endangered light-footed clapper rail and California least tern. The Bay is also a spawning ground and nursery for many commercial and sports fish, including halibut and bass. The Upper Bay is a regional recreational and educational resource. It also plays a huge part in protecting the infra-structure of the Lower Bay and the beaches of Newport Beach. Newport Beach has one of the largest small boat harbors in the country, with over 9,000 craft docked. And its beaches are a regular weekend destination for families from inland Orange County as well as Riverside and San Bernardino Counties.